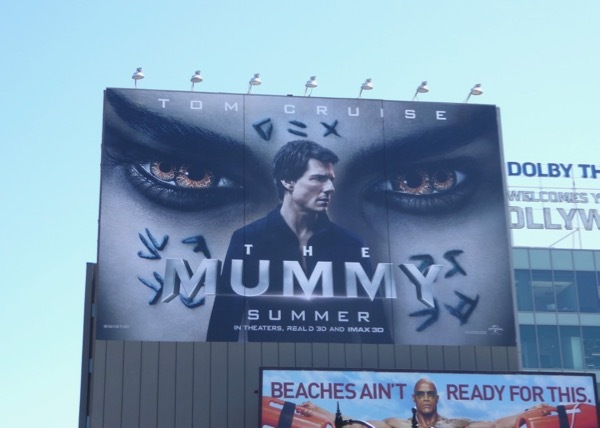 This Summer another film franchise gets the Hollywood reboot treatment with The Mummy being reborn in female form. 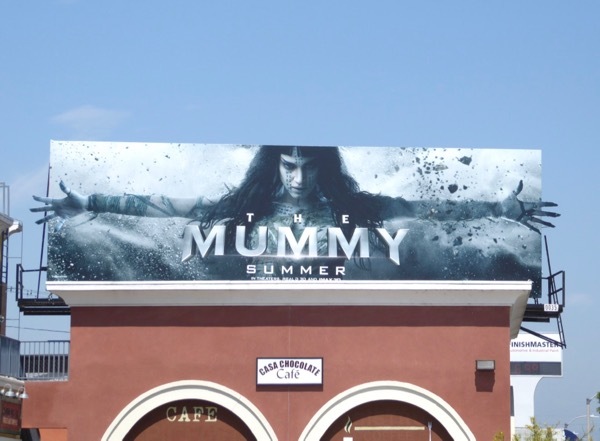 Sophia Boutella will play the ancient Egyptian 'Princess Ahmanet' awoken from her slumber from beneath he desert, and adding to the movie's star power instead of Brendan Fraser this time around is Tom Cruise. 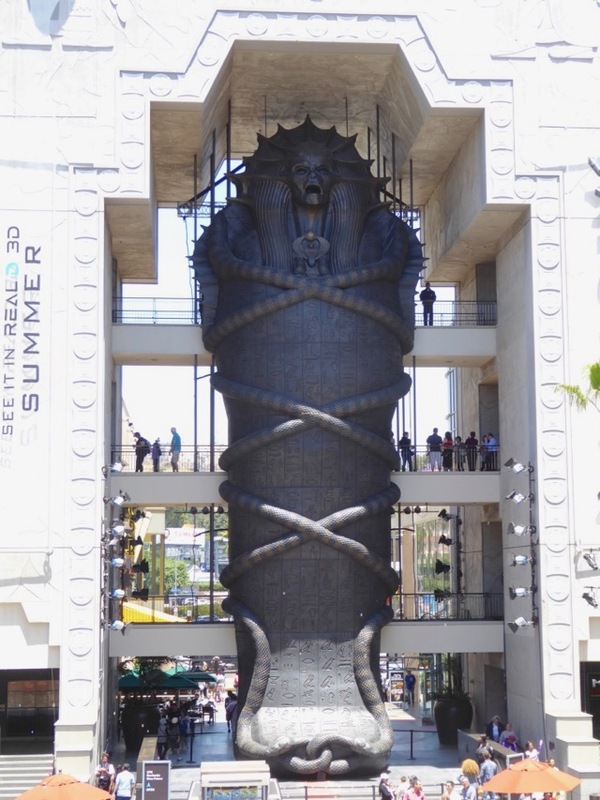 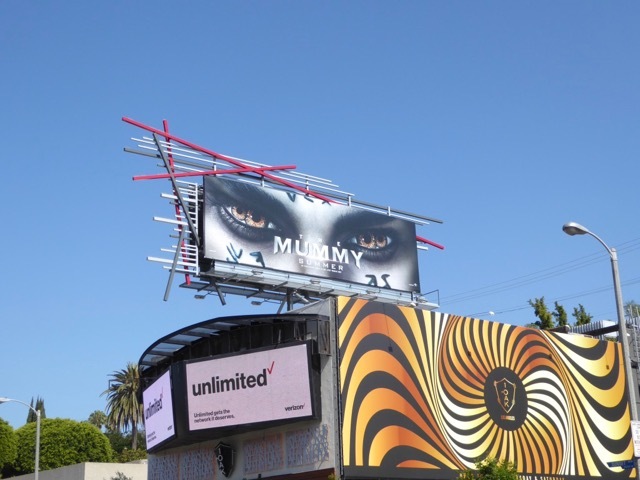 With The Mummy London premiere cancelled following the Manchester bombings, the cast of the new film celebrated 'Mummy Day' in Hollywood and unveiled a dramatic 75-foot high, seven-ton sarcophagus at the Hollywood & Highland Center on May 20, 2017. 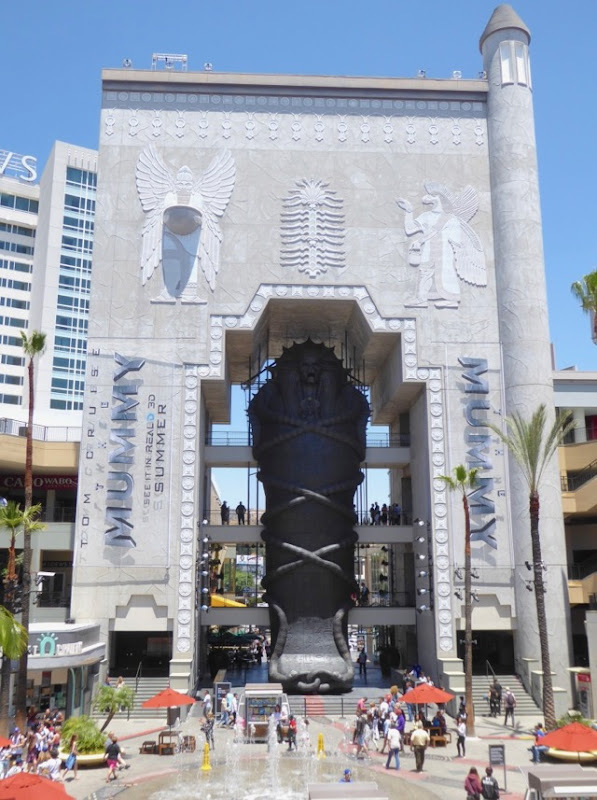 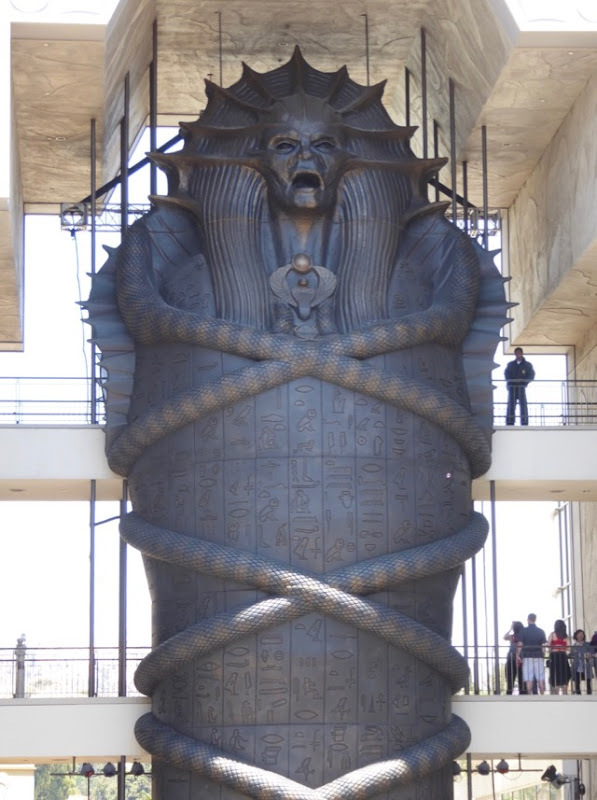 The giant sarcophagus is a wonderful publicity stunt at one of the Hollywood's busiest tourist attractions and is beautifully framed by the Egyptian hieroglyphics on the Babylon Court Archway which is part of a recreation of the Babylon Gate from D.W. Griffith's 1916 silent film, Intolerance. 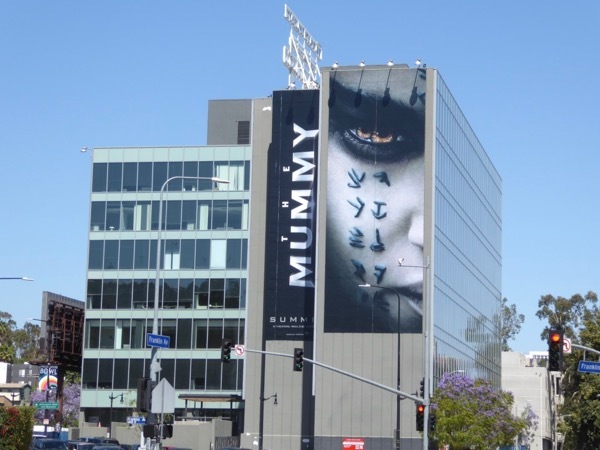 The Mummy reboot is planned to help set up Universal's shared monster movie franchise dubbed the 'Dark Universe', which will see the likes of Javier Bardem step into the heavy shoes of 'Frankenstein's Monster' and Johnny Depp disappear as 'The Invisible Man'. 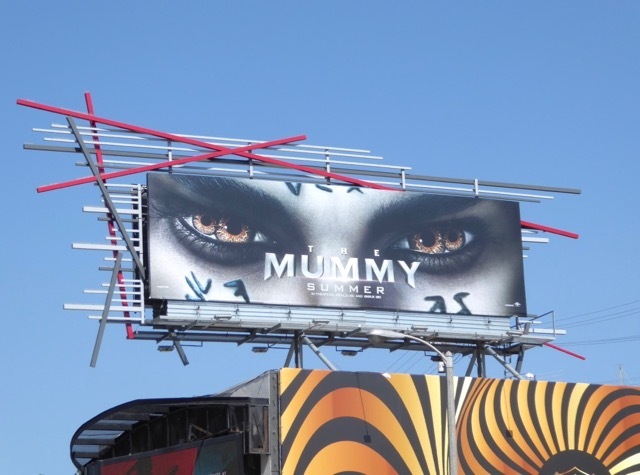 Hopefully all this world-building for future movies won't come at the expense of a this movie which already has a premise we've seen before in the 1999 to 2008 trilogy and 1932's classic motion picture featuring Boris Karloff as the bandaged undead creature. 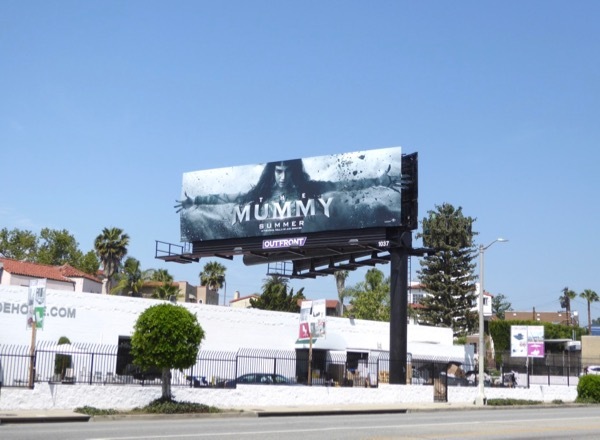 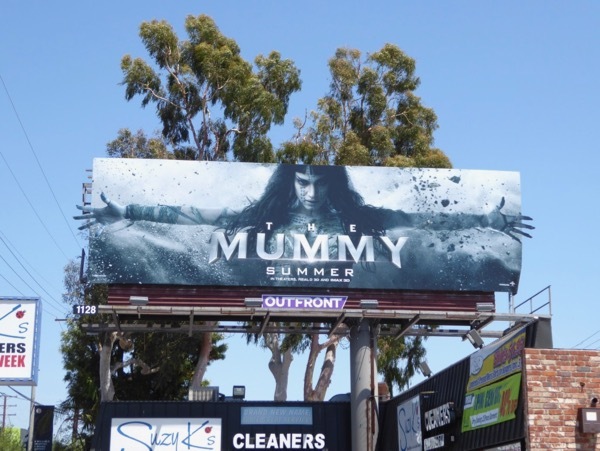 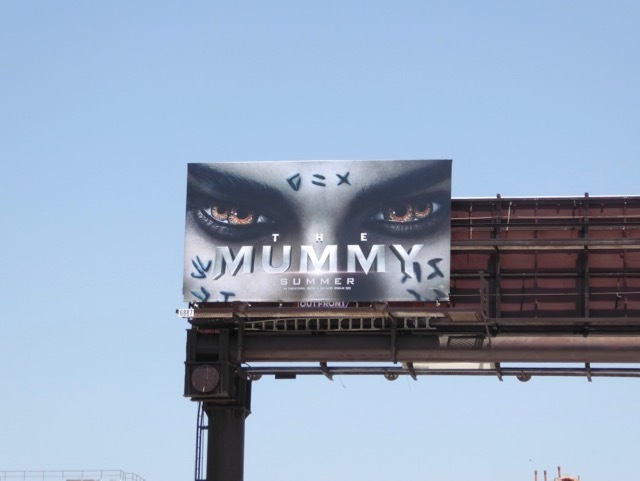 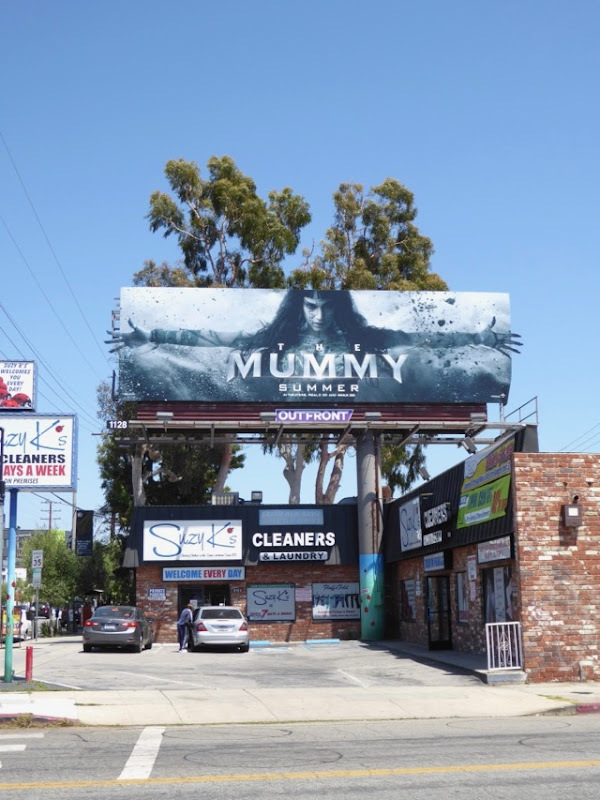 These eye-catching billboards for the summer blockbuster were captured around the streets of L.A., including along Highland Avenue, the Sunset Strip and 3rd Street from May 5 to June 1, whilst the super-sized sarcophagus was photographed at Hollywood & Highland on May 27, 2017. 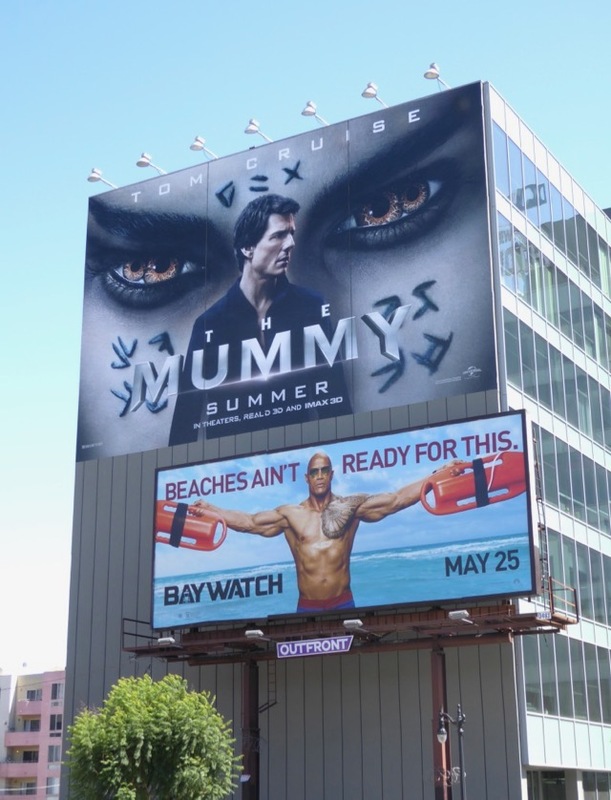 Fans of Tom Cruise can also enjoy these Oblivion movie billboards, these Mission: Impossible movie billboards and these Jack Reacher movie billboards, to name but a few. 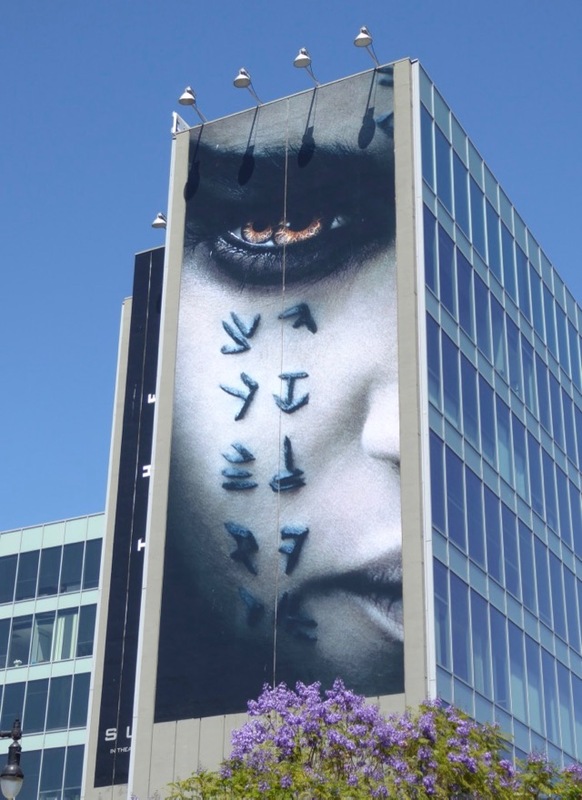 Meanwhile Sofia Boutella is no stranger to supercool billboards, so be sure to also take a look at these billboards for Kingsman: The Secret Service and these Star Trek: Beyond billboards. 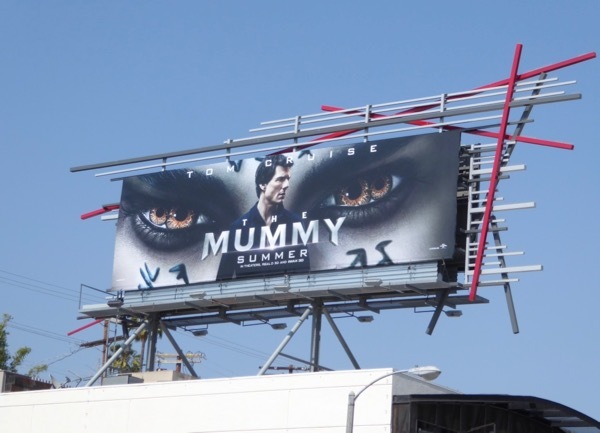 Let's see if after three previous movies and several Scorpion King spin-offs, audiences will still want their Mummy.